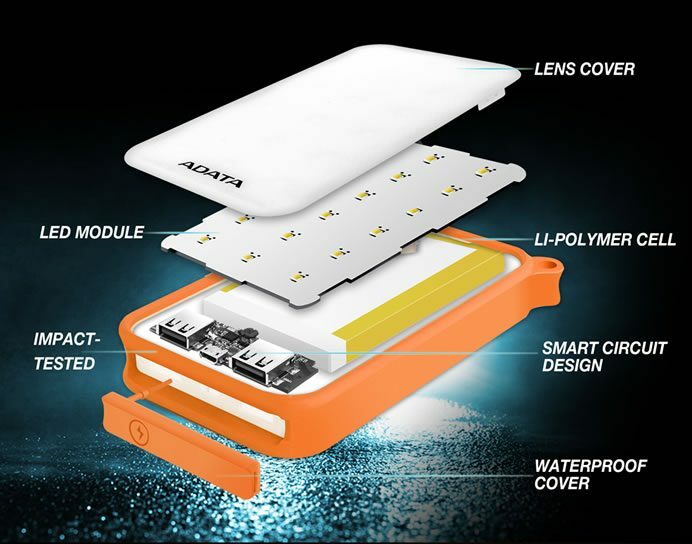 ADATA today launched the D8000L power bank, which doubles as a powerful LED light source. The entire top side of the D8000L is devoted to multiple LED bulbs rated 200 lumens. 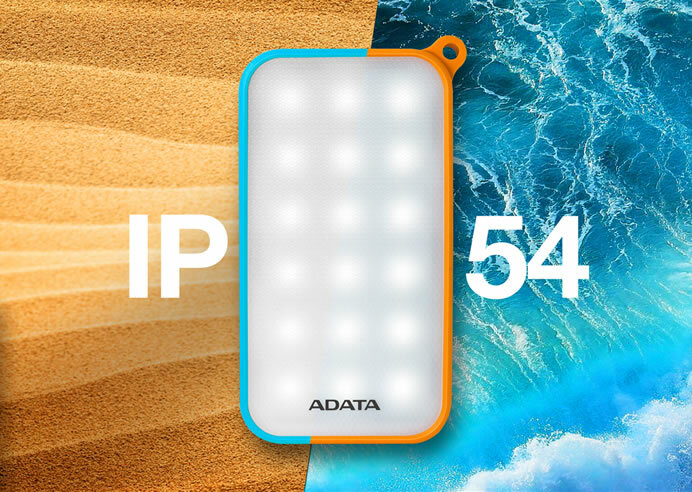 ADATA LED technology supports four light modes: standard, flashing, slow flashing, and emergency. You get up to 17 hours of light, whether for fun or life-saving situations. Lighting from the D8000L covers a wide area and reaches far, unlike low-powered, narrow-beam, and short range flashlights often found on other power banks as well as smartphones. The D8000L is also IEC IP54 dust and water proof, and delivers 2.1A of charging power through dual USB ports. Fully charged, the D8000L can top-up an average smartphone from empty to full 3 times. It’s also enough to completely recharge a big tablet. And this is with the LED fully on. 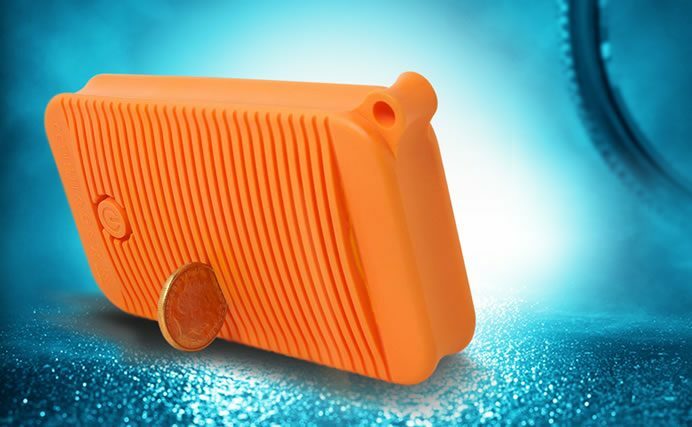 The grooved back of the D8000L proves very handy, designed so that consumers can use anything from coins to credit cards as impromptu kickstands to prop the power bank up with ease. The D8000L is clad in tough, shock-absorbing materials, resulting in a product perfect for usage anywhere from homes to offices and active lifestyles. The D8000L has two USB ports that output a total of 2.1A. 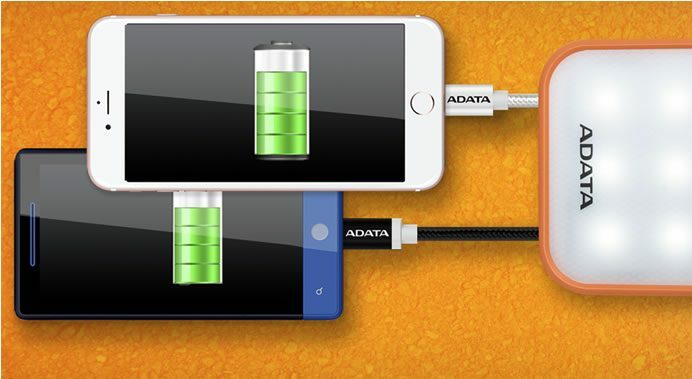 Like all ADATA power banks, the D8000L employs smart multi-protection circuitry designed to prevent overcharge, over-discharge, overvoltage, under voltage, overheating, overcurrent, and short circuits. The D8000L ships with a 1-year warranty. Acer 32-inch UHD 4K display monitor ProDesigner BM320 now available in U.S.